Use, properties and growing conditions list. Nature - it is the worlds largest, most eclectic and expansive pharmacy, with literally millions of species at our disposal to plant, cultivate, harvest and make use of in our everyday lives. And yet, most of us remain uninitiated into the highly practical and powerful realm of natural remedies that Nature herself offers to us with open hands. While most of us grew up disconnected from the natural world, it is never too late for us to discover the endless sources of natural remedies hidden all throughout nature - and make use of them ourselves. Whatever your personal context, natural remedies can be grown almost anywhere or in anything, from large paddocks and small patches of ground, to pots and window boxes. Healing plants of all varieties can also be bought at local nurseries, swap meetups, garage sales, online stores, or even foraged in the wild and transplanted into your own garden. 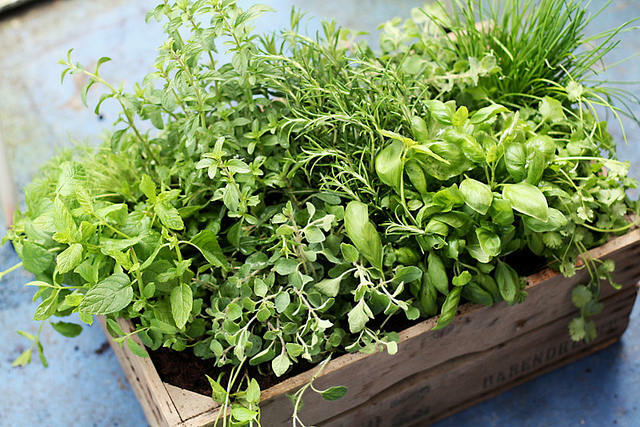 Having a great love for medicinal fruit, vegetables and herbs myself, I have taken the time to compile an extensive list of the best 100 natural healing plants to grow in your own personal garden or living area. This list is based on the high number of healing properties each plant has. From vegetables that fight cancer and prevent colds, to herbs that treat indigestion, skin conditions and anxiety - there is a healing plant for almost everything and everyone here. Most of these medicinal plants can be dried, powdered, made into tea, tinctures, soups, balms, and even soaps, syrups and salves. Im sure you will find what youre looking for - and even more here! Benefits: Soothes urinary tract disorders such as cystitis and irritable bladders. Anti-inflammatory. Growing conditions: Prefers full sun. Perennial. Benefits: Relieves constipation, stimulates colon. Growing conditions: Prefers damp soil conditions, deciduous hedging shrub, grows to about 5 meters tall. Benefits: Healing properties for skin conditions such as sun burn, eczema, psoriasis, wounds and dermatitis. Used to soothe and skin and prevent wrinkles. Helps ease gastrointestinal disorders such as indigestion and aids elimination. Parts used: Fleshy leaves and pulp. Growing conditions: Evergreen succulent. Prefers sunny position with moderate water, but water sparingly in winter. Benefits: Appetite stimulator. Treats indigestion. Eases cramps and prevents flatulence. Anti-inflammatory. Growing conditions: Biennial/perennial herb. Prefers damp soil. Grows 2 meters. Harvest root in Autumn. Benefits: Helps cure respiratory congestion such as colds and flu. Used as a digestive aid to help with colic, bloating and gas. Helps to control nausea and vomiting. Reported to enhance libido. Growing conditions: Annual plant, warm climate. Benefits: Lowers cholesterol production. Soothes irritable bowel syndrome. Treats indigestion. Helps digest fats by enhancing liver function. Parts used: Flowerheads, leaves, roots. Growing conditions: Prefers full sun, fertile, and well-drained soil. Perennial. Benefits: High antioxidants contribute to eye health, lessening the effects of glaucoma. Anti-inflammatory and anti-aging properties. Reduce the effects of vascular problems such as varicose veins, water retention and painful periods. Growing conditions: Prefers acidic soil, large pots and full sun. Fruits in summer. Benefits: Reduces menopausal symptoms. Balances hormones. Regulates menstrual periods. Soothes inflammation, e.g. arthritis. Growing conditions: Prefers light shade and moist soil. Harvest roots in Autumn. Benefits: Rich source of GLA. Treats skin conditions such as eczema. Reduces PMS symptoms, hypertension and rheumatoid disorders. Reduces blood pressure and alleviates swollen glands. Parts used: Root, leaves, berries. Growing conditions: Full sun, requires high nitrogen levels in soil (so add extra organic matter). Prune back in Autumn. Attracts birds, so protect plant with net. Benefits: Improves circulation, and thus helps stiff muscles, joints and cold extremities. Reduces inflammation. Growing conditions: Annual plant that prefers light soil and moderate sun. Harvest seed pods in late summer, and dry in cool place. Benefits: Improves mental clarity, memory and concentration. Growing conditions: Creeping perennial that thrives in warmer temperatures and tropical climates. Benefits: Detoxifying, antibiotic, antiseptic and mild diuretic effects. Most especially helps with the treatment of skin problems such as eczema, acne, boils and dermatitis. Parts used: Leaves, fruit, roots and seeds. Growing conditions: Biennial and simple to grow. Harvest seeds in summer. Benefits: Used to aid digestion, ease pain, expel gas, soothe bloating, prevent reflux and relieve heartburn. Growing conditions: Biennial, prefers full sun and free-draining soil. Avoid transplanting. Benefits: Anti-inflammatory. Taken for gout, anxiety, arthritis, and to aid sleep. A good diuretic. Growing conditions: Prefers full sun, lots of water, compost and mulch. Benefits: Used as a tonic for the liver and gallbladder. Stimulates appetite. Relieves disorders of the upper digestive tract such as heartburn and indigestion. Growing conditions: Biennial, prefers full sun, grows with other wildflowers. Benefits: Helps reduce the effects of a variety of ailments such as anxiety, poor sleep, indigestion, colic, sciatica and gout. Often brewed in tea to calm nerves and enhance sleep. Growing conditions: Perennial, likes partial sun and poor soil. Self-seeds. Benefits: Relieves PMS pain, reduces hormonal acne, helps regulate hormones during menstrual cycles. Relieves menopausal symptoms. Growing conditions: Grows up to 5 meters, prefers sun and does well in most soils. Benefits: Rich in vitamin A, B and C. High in calcium and magnesium. Good general immune system booster with anti-inflammatory effects. Growing conditions: Two plants must be planted for pollination. Likes full sun and needs damp soil. Benefits: Soothes sore and inflamed skin. Mild diuretic. Soothes rheumatism. Vitamin rich and great in salads although theyre classified as weeds! Growing conditions: Thrives in most soils. Blooms in late winter to spring. Benefits: Mild laxative. Anti-inflammatory. Can lower blood pressure and cholesterol levels. Parts used: Leaves and roots. Growing conditions: Likes well-drained alkaline soil. Needs deep soil for root development. Roots are harvested in the second year. Benefits: Used as an antiseptic, analgesic, stimulant and tonic. Reduces muscular aches and pains and prevents gastrointestinal infection. Growing conditions: Likes dry soil and full sun. Can easily grow in pots. Benefits: Anti-aging benefits for skin. Treats fever, diarrhea, toothaches and mouth ulcers. Growing conditions: Perennial plant that prefers full sun. Invasive and fast-growing. Benefits: Also known as goosegrass, cleavers is a good diuretic, assisting with swollen lymph glands, and many irritations of the urinary tract such as cystitis. Softens skin when applied, but beware of the prickly thorns on the stems when picking! Growing conditions: Annual and prefers alkaline soil. Simple to grow. Benefits: Used to treat cystitis and other urinary tract infections. Growing conditions: Prefers part sun part shade and moist acidic soil. Can grow in pots. Benefits: Help lower blood sugar levels. Anti-inflammatory. Help to rehydrate and soothe skin. Growing conditions: Likes humid environments. Needs space to grow, and regular watering. Hardy. Benefits: Used to heal wounds such as cuts, bruises, sores and stiff joints when made into a salve. Helps reduce the impact of respiratory tract infections such as sinusitis and bronchitis. Parts used: Flowerheads and leaves. Growing conditions: Evergreen perennial plant that prefers full sun to grow. Benefits: Classified as a weed because of its relentless growing habits, dandelion has excellent detoxifying and diuretic properties. It also possesses vitamins A, B, C and D as well as potassium and calcium. It has been used to treat high blood pressure, cleanse the liver and gallbladder and treat skin problems such as acne and eczema. Parts used: Flowerheads, leaves and roots. Growing conditions: Perennial. Grows in sun and shade. Does best in well-drained soil, but tolerates most soil types. Benefits: Calms digestive disorders such as cramping, bloating and colic. When chewed can alleviate bad breathe. Parts used: Leaves and seeds. Growing conditions: Annual. Easy to grow from seed, and requires 2 weeks germination. Benefits: Highly effective for cold and flu relief. Antibacterial properties that helps wounds and other skin infections heal. Parts used: Roots and flowerheads. Growing conditions: Perennial that prefers full sun. Likes rich, sandy soil. Harvest roots in Autumn. Benefits: Antiviral and anti-inflammatory properties. Helps treat coughs, sore throats, cold and flu symptoms. Can be made into and taken as a tincture or syrup. Growing conditions: Sow seeds in rich soil. Prefers full sun. Simple to grow. Benefits: Can be made into cordials or wines. Antiviral and anti-inflammatory properties. Helps treat coughs, sore throats, cold and flu symptoms. Growing conditions: Deciduous shrub that prefers full sun, but tolerates shade. Pick only fresh white flowers. Benefits: Antiseptic and decongestant properties. The leaves have been used to remedy chest infections such as pneumonia and bronchitis, relieve muscle and joint pain, and cold and flu symptoms. Growing conditions: Hardy species of tree that tolerates full sun and hot temperatures. Prefers well-drained, fertile soil. Benefits: Rich source of GLA which assists bone health and regulates metabolism. Helps reduce PMS symptoms. Mild blood pressure reducer and soothes eczema. Parts used: Roots, leaves and seeds. Growing conditions: Biennial. Prefers full sun and low-nutrient soil. 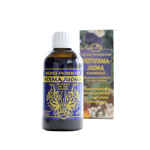 Benefits: Reduces the impact of eye infections such as conjunctivitis, and can be made into an eye wash for its astringent and antibacterial qualities. Also said to be a good lung tonic. Growing conditions: Annual. Prefers full sun and chalky soils. Harvest the leaves and flowers while the plant is still blooming. Benefits: Appetite-suppressant for weight loss. Relieves bloating, cramping, flatulence and all kinds of stomach upset including colic. Parts used: Flowerheads and seeds. Growing conditions: Likes full sun position with low water. Drought tolerant and attracts wildlife. Benefits: Digestive aid. Soothes intestinal passages, sometimes used to treat gastric ulcers. Reduces cholesterol and blood sugar levels. Growing conditions: Annual. Requires full sun, but needs shelter. Seeds ripen in 4-5 months. Benefits: Commonly used to successfully treat migraines. Reduces the symptoms of fever. Growing conditions: Perennial that is drought-tolerant. Prefers full sun. Self-seeds. Benefits: Gentle laxative. High fiber. Soothes stomach pains and cramping. Growing conditions: Prefers well-drained alkaline soil and full sun. Fruit ripens in summer. Benefits: Diuretic and astringent properties. Lowers blood pressure. Helps treat kidney and menstrual problems. Also said to prevent the attack of insects such as fleas. Parts used: Leaves and flowers. Growing conditions: Annual and perennial. Prefers sun and light soil. Benefits: Antiviral, and cancer fighting properties. Helps combat colds, flu and bronchitis. Lowers cholesterol. Anti-fungal properties good for treating fungal skin diseases such as athletes foot and ringworm. Growing conditions: Can be grown in pots. Prefers sun and damp soil. Bulbs are picked in Autumn. Benefits: Prevents all kinds of nausea such as vertigo, morning sickness, and motion sickness. Anti-inflammatory and good for arthritic joints and pains. Growing conditions: Likes shade, with warm and moist soil. Not frost tolerant, so keep indoors in winter. Plant 10 to 20 cm deep into potting compost. Benefits: Enhances memory and concentration. Soothes vertigo, leg cramps, asthma and allergies. Growing conditions: Deciduous slow-growing conifer. Likes full sun and well-drained soil. Leaves must be harvested in summer. Benefits: Super-food that is said to boost circulation, improve eyesight, lower cholesterol, protect the liver, enhance immune function and improve libido. High levels of vitamin C.
Growing conditions: Shrub grows to a height of 7-10 feet. Prefers full sunlight and fertile soil, but can grow in almost any soil type. Pruning necessary. Benefits: Commonly taken as a tonic for skin problems such as acne and digestive disorders. Aids memory and concentration. Anti-inflammatory properties give relief to rheumatism, arthritis and poor circulation. Growing conditions: Perennial creeper. Prefers full sun to part shade. Needs well-drained soil. Benefits: Painkilling properties useful for soothing sore throats, headaches and arthritis. Used to cool down hot flushes, sunstroke and fever. Parts used: Flowers and buds. Growing conditions: Deciduous shrub that prefers shade. Needs support as it is a climbing plant. Benefits: Gentle sedative great for inducing sleep and relaxation. Great for reducing anxiety and abdominal tension. Assists with menopausal symptoms. Growing conditions: Climbing plant that prefers full sun. Requires support and distancing from other plants. Benefits: Seeds are used to treat haemorrhoids and varicose veins. Helps to decrease the likelihood of developing deep-vein thrombosis, and decreases the swelling of the lower legs during flights. Growing conditions: Ornamental tree that can be grown from seeds or conkers. Reaches 10 to 20 feet in height. Collect chestnuts in Autumn. Benefits: Used to soothe aching joints and muscles when made into a balm. Also stimulates the digestive system and lessens the severity of colds and coughs by clearing the nasal passages. Growing conditions: Perennial plant that can grow in large containers. Harvest roots in Autumn. Benefits: Berries have diuretic and anti-inflammatory effects. Used to treat urinary tract infections, rheumatism and good for gently lowering blood pressure and blood sugar levels. Growing conditions: Evergreen conifer that prefers full sun. Drought-tolerant and frost hardy. Benefits: High in vitamin C, E, magnesium and copper. Beneficial for improved heart function, improving eye health and improving the quality of skin and hair growth. Growing conditions: Climbing plant that prefers part sun and shade. Needs well-drained rich soil. Both male and female plants needed to pollinate for fruit. Benefits: Stops external bleeding and encourages blood-clotting when applied as a balm. The tea is effective in preventing excessive menstrual bleeding and diarrhea. Parts used: Dried leaves and flowering stems. Growing conditions: Perennial ground cover that prefers dappled sunlight. Slow growing. Benefits: Wide range of calming effects, assisting in the relaxation of muscles, reduction of anxiety and enhancement of sleep. Eases irritability and aids digestion. Also helps with minor skin irritations. Growing conditions: Evergreen plant that prefers poor soil and full sun. Good to grow in pots. Harvest flowers in mid to late summer for drying. Benefits: High in vitamin C. Antibacterial and astringent properties. Used to reduce acne and brighten skin. Essential oil used to soothe fatigue and insomnia. Growing conditions: Fruits all year-round, preferring part sun and shade with well-drained soil. Can grow in pots or in the ground. Needs to be fertilized in growing season and watered in summer. Benefits: Used to soothe nervous tension, relieve anxiety and enhance sleep. Also effective in preventing the growth of herpes. Growing conditions: Very adaptable and grows in almost any soil. Fast growing and self-seeding. Requires constant pruning. Benefits: Anti-inflammatory and anti-allergenic properties. Helps sooth coughs, sore throats and bronchitis. Helps prevent and cure gastric ulcers, and protects the liver. Growing conditions: Perennial that prefers sun. Grows 1.4 meters tall, and needs a lot of depth for root growth. Roots are harvested from 3 to 4 year old plants. Benefits: Calms nervous disorders such as restlessness, anxiety and irritation. Good for treating colds and flu. Lowers blood pressure. Parts used: Buds and flowers. Growing conditions: Deciduous tree that prefers cool climates in sunny positions. Needs moist soil. Benefits: Antiseptic and anti-inflammatory properties. Treats minor burns, insect bites, acne, cuts and abrasions, rashes and varicose veins. Growing conditions: Annual and prefers full sun. Can grow in containers and are easy to grow. Benefits: Although still illegal in many countries due to its potent psychoactive properties, Marijuana has been used to successfully treat and/or cure conditions such as glaucoma, high blood pressure, arthritis, depression, anxiety, HIV, cancer, multiple sclerosis, cerebral palsy and various other illnesses and disorders. It has potent sedative, anti-inflammatory and analgesic properties. Parts used: Flowering tops of female plants. Growing conditions: Annual growing plant that grows to 4 meters. Requires rich, well-drained soil and full sun. Prefers slightly acidic soil. Benefits: Treats stomach disorders such as gastritis, indigestion and heartburn. Helps reduce severity of headaches, as well as inflammation of the joints. Growing conditions: Perennial that prefers damp soil and full sun. Benefits: Helps diminish headaches and digestive problems. Popular hangover cure. Helps treat and prevent hepatitis. Growing conditions: Biennial plant that prefers full sun. Self-seeds. Benefits: Helps cure and ease the symptoms of premenstrual syndrome, reducing swelling, anxiety and irritability. Also used as a heart tonic. Growing conditions: Prefers part sun part shade. Likes poor soil. Easily grows from seed. Benefits: Used as a liver tonic and also as an energy stimulant. Helps reduce anxiety, insomnia and depression. This herb has also been used for stomach problems such as cramps, colic and constipation. Growing conditions: Perennial herb that grows 1-2 meters tall. Likes full sun and well-drained soil. Benefits: Expectorant and decongestant. Reduces mucus, soothes inflammation and aids in wound healing. Growing conditions: Biennial that prefers full sun. Likes well-drained soil and self-seeds easily. Benefits: Anti-fungal, antibacterial and antiviral properties. Used to protect the liver, aid digestion and heal skin diseases. Also effectively kills lice. Growing conditions: Deciduous tree that grows in most soil types. Prefers hot climates and well-drained soil. Benefits: High in vitamins, minerals and chlorophyll, Nettle leaves are commonly used to boost the immune system, reduce the pain of arthritis and joint swelling. They can also be used to treat dandruff and improve the health of hair. Growing conditions: Prefers nitrogen-rich soil. Harvest roots in Autumn. Benefits: In small quantities serves as a stimulant, carminative and aphrodisiac. Helps to relieve muscle spasms, stimulate blood flow and prevent vomiting. Growing conditions: Evergreen tree. Grows to 12 meters. Likes rich, deep soil in a sunny position. Benefits: Heals wounds and repairs skin. Reduces inflammation and also used to reduce the effects of skin conditions such as ringworm, psoriasis and carbuncles. Growing conditions: Requires lots of sunlight and good quality soil. Requires frequent watering and a frost-free environment. Benefits: High in vitamin A, B and C, protein, iron, potassium and magnesium. Anti-inflammatory and diuretic properties. Relieves flatulence, anemia and improves iron intake. Parts used: Leaves, root and stems. Growing conditions: Biennial that prefers sunny positions. Easy to grow and can be grown in pots or in the earth. Best used fresh. Benefits: Calming, sedative effects that soothe anxiety, tension, restlessness and sleep problems. Also aids in reducing stomach disorders. Growing conditions: Climbing plant that prefers poor soil in a sunny position. Must be grown in a greenhouse in colder climates. Benefits: Decongestant, antiseptic properties. Commonly used as cough and cold remedies. Can also be used as a deodorant if made into a spray. Growing conditions: Evergreen conifer that prefers full sun and acidic soil. Benefits: Very effective remedy for insect bites. A natural source of antihistamine. Can also be used as a decongestant and expectorant. Growing conditions: Fast-growing plant that prefers full sun. Leaves can be used at any time. Can be used in teas or made into tinctures. Benefits: Reduce bloating and swelling. Lowers levels of cholesterol and helps combat heart disease. Also helps to lower blood sugar levels and reduces the risk of colon cancer. Growing conditions: Annual plant that needs full sun. Seeds can be sown in late spring. Benefits: Unusually good source of vitamin E and omega-3. Used to treat gastric and liver ailments as well as arthritis. Growing conditions: Prefers full sun and dry soil. Fast growing and not frost tolerant. Benefits: High in isoflavones and phytestrogenic compounds which is said to assist in menopause and PMS syndromes such as flushes, cramping and sweating. Growing conditions: Perennial plant that prefers loamy soil. Easy to grow. Benefits: Assisting in lightening heavy periods, and helps to combat a variety of menopausal symptoms. Parts used: Leaves (although the fruit is rich in antioxidants). Growing conditions: Prefers partial sun to shade. Needs moisture-retentive soil and protection from birds. Benefits: Soothes acne, eczema and other conditions. Antiseptic and anti-inflammatory properties. Used to also treat nausea, poor circulation and tonsillitis. Growing conditions: Evergreen shrub that can be grown indoors. Water sparingly. Benefits: Rich source of vitamin A, C, B vitamins and K. Commonly used to make cough syrup. Growing conditions: Prefer damp and heavy soil conditions. Benefits: Versatile herb that can be used in cooking and to relax the digestive tract. Also used to improve concentration, memory, reduce anxiety and mild depression. Additionally used to treat dandruff. Growing conditions: Evergreen herb that needs full sun to grow. Thrives in most soils and must be pruned in spring. Easy to grow. Benefits: Treats colds, coughs, tonsillitis, sore throats, inflamed gums and mouth ulcers. Also used as a memory enhancer, diuretic and digestive aid. Commonly used in flavouring cooked meats. Growing conditions: Evergreen perennial that prefers full sun. Likes dry soil. Benefits: Excellent plant for first aid, calming bites, burns, bruises, ulcers and cold sores when made into a salve. Antiviral properties. Assists with reducing the effects of throat infections and inflamed gums. Growing conditions: Perennial groundcover. Grows alongside wildflowers. Tends to be invasive. Cut flowering stems in Summer. Benefits: Reduces the impact of anxiety, neuralgia, insomnia, tension and other nervous system disorders. Natural tranquilizing and antispasmodic effects. Growing conditions: Perennial. Prefers full sun and moisture-retentive soil. Harvest leaves in early Summer. Benefits: Recommended for digestive disorders such as constipation, colitis and ulcers as it soothes the gastrointestinal tract. Also used to soothe burns and skin irritations. Growing conditions: Deciduous tree that requires full sun to grow. Prefers moist soil. Grows to 20 meters in height. Benefits: Antimicrobial properties that prevents the growth of bacteria. Treats wounds, blemishes, bed sores, ulcers and other skin infections. Also makes a soothing inhalant for colds and flu. Parts used: Resin and needles. Growing conditions: Evergreen conifer that likes damp, acidic oil. Possible to grow in pots. Benefits: Natural antidepressant. Used to treat mild to moderate depression, anxiety, seasonal affective disorder (SAD), insomnia, nervous tension and hysteria. Anti-viral and anti-inflammatory properties. Also treats cuts, bruises, inflamed skin and helps reduce the effects of herpes and hepatitis. Tends to conflict with prescribed birth control pills and antidepressants. Growing conditions: Perennial that prefers a sunny position. Flowers in summer and self-seeds. Benefits: Possesses antiseptic, antibacterial, antiviral and anti-fungal properties. Excellent for treating skin problems and infection such as acne, ringworm, boils, athletes foot, insect bites, cystitis, sore throats, thrush and other skin conditions. Like most medicinal plants, it can be infused, made into a cream or essential oil. Growing conditions: Evergreen tree. Reaches 7 meters. Likes sunny position and lots of water. Benefits: Used to treat the papilloma virus (responsible for creating warts). Also used to soothe sore muscles, neuralgia and rheumatic pains, as well as stimulating menstruation. Parts used: Leaves and branches. Growing conditions: Evergreen conifer that prefers moist and deep soil. Prefers a sheltered site in full sun. Fairly easy to grow. Benefits: Anti-inflammatory, antioxidant and antibacterial properties. Used in India as a tonic for disorders of the liver and to heal wounds. Also used to treat arthritis, allergies, skin conditions such as psoriasis and high cholesterol. Parts used: Root and rhizome. Growing conditions: Tropical plant that prefers light shade. Possible to grow in pots, but must be kept dry in winter. Benefits: Antiseptic and expectorant properties. 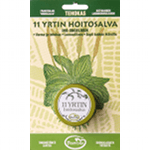 Helps to loosen phlegm from colds and flu, soothe infected skin and soothe aching muscles. Growing conditions: Evergreen perennial. Likes gritty, well-drained soil in a sunny position. Benefits: Antispasmodic, analgesic, adaptogenic and anti-inflammatory properties. Lowers blood sugar levels, blood pressure and reduces fever. Often grown around temples in India and is revered as the herb sacred to goddess Lakshmi. Benefits: Used to treat urinary tract infections such as cystitis. Leaves are used in tonics for the bladder and kidneys. Growing conditions: Evergreen shrub. Prefers damp and acidic soil. Leaves must be harvested in early Autumn. Benefits: Natural tranquilizing properties that assist in sleeping and preventing insomnia. Also used as a sedative to calm anxiety, irritability and stress. Growing conditions: Perennial. Likes partial sun and shade. Harvest 2 year old roots in Autumn. Easy to grow. Benefits: Beneficial for a large number of ills including chronic fatigue, digestive problems, insomnia, depression, hot flushes, coughs and headaches. Useful for relaxing the muscles and soothing nerves. Also treats inflamed skin. Growing conditions: Perennial. Grows to 1 meter. Prefers lime soil. Benefits: Anti-inflammatory properties that soothe eczema, acne, and other skin issues. Also serves as a diuretic, helping with various urinary disorders and cystitis. Can be taken as a decongestant for colds and flu. Growing conditions: Perennial and annual. Likes partial shade. Easy to grow. Benefits: Rich in vitamin A, B vitamins, C, E and minerals such as iodine, iron and phosphorus. Also contains cancer-fighting properties called PEITCs and sulphurophanes which encourage cancerous cells to self-destruct, and builds natural defense against carcinogens. Used to treat arthritis, and can be made into a tonic for the skin and eyes. Promotes general health. Growing conditions: Creeping perennial. Prefers boggy soil or shallow trenches and light shade. Benefits: Vitamin-rich and excellent for improving digestion. Used to treat diseases of the colon. Growing conditions: Annual. Likes rich, well-drained soil in a sunny position. Easy to grow. Benefits: Natural painkiller used in aspirin. Relieves inflammatory conditions such as rheumatism, osteoarthritis and back pain. Also used for menstrual pain, headaches, sport injuries and fever. Growing conditions: Deciduous tree. Prefers wet to damp soil and a sunny position. Has invasive rooting system. Benefits: Used for everyday ailments such as sprains, burns, bruises, blemishes, boils and other skin irritations. Also contracts the swelling of varicose veins and can soothe sore throats and laryngitis. Growing conditions: Deciduous tree. Hardy and prefers damp soil. Likes a sunny position. Benefits: Used as a tonic to enhance liver function. Soothes arthritis. 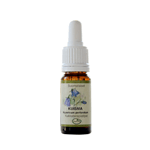 Acts as a mild sedative, helping with anxiety, restlessness and sleeping problems. Growing conditions: Perennial groundcover. Likes moist soil and shade. Fast-growing and tends to be invasive if not taken care of. Benefits: Used as a tonic to improve liver and gallbladder functioning. Also increases the production of bile and stomach acid, easing digestion and preventing bloating and gas. Serves as an excellent insect repellent. Parts used: Leaves and flowerheads. Growing conditions: Perennial. Likes full sun and poor, well-drained soil. Benefits: A versatile plant that can be used to treat coughs, colds, aid digestion, stop diarrhea, stop bleeding, heal bruises and rashes, and prevent headaches. Parts used: Flowers and leaves. Growing conditions: Perennial. Likes a sunny position. Easy to grow. I hope you benefit greatly out of this extensive list of natural healing plants. Keep in mind that not all of these medicinal fruits, vegetables, trees and herbs are possible to grow in your area of the world (or could be illegal), and may also be harmful for pregnant or nursing women. It is also important for you to test your reaction to many of these plants before consuming or applying to the skin - so you may like to do a 24 hour skin reaction patch beforehand. Also, some of these medicinal plants may interfere with prescription drugs, so consult a doctor first. Other than that, there are some really powerful natural remedies and healing plants here which I hope you take the time to explore, benefit from and enjoy yourself! Many of the above mentioned plants are used in Frantsila products. A vast selection of herbs and plants that are suitable for the Nordic climate are grown on Frantsila Organic Herb Farm in Finland, and berries and wildflowers are collected nearby. Genuine essential oils of the world are used in some products and these carefully selected pure essential oils are also part of the Frantsila product selection. In product development, information about folk traditions combined with modern research is used in order to achieve the best results. Frantsila utilizes the Natures extensive pharmacy for the past 30 years, bringing the best of nature into our daily lives. This Finnish Flower Remedy brings courage and strength to the depressed mind. 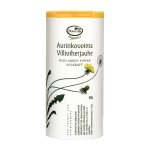 This Finnish Flower Remedy releases tension and gives strenght. Treatment and prevention of flu symptoms. 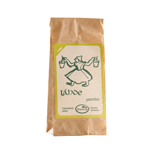 Revitalizes, reinforces immunity and aids digestion. 100% pure and chemo typed Eucalyptus essential oil. 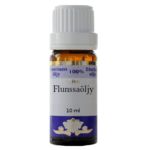 Synergy of genuine essential oils for the treatment of flu symptoms. Organic skin care and massage oil. Relieves muscle tension, joint pain and soothes sunburned skin. 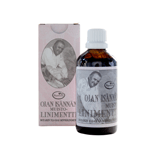 Old time liniment to relieve pain, shoulder and neck tension, and joint ache. Natural hair strengthening shampoo for the whole family. 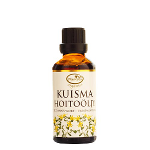 Vitality from Finnish organic herbs and berries. Increased vitality and resistance with plant antioxidants, natural vitamins and minerals. 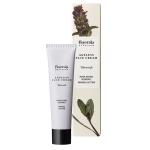 Skin renewing and calming organic salve, nicknamed Frantsila miracle salve. 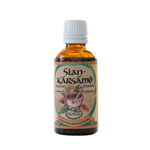 Therapeutic herbal drink, promotes circulation of body fluids, reduces water retention. Light universal cream to care for the skin of the whole family.